"Moms - you're on!" Momentum Pictures has debuted an official trailer for the indie party comedy Fun Mom Dinner, which actually (surprisingly) first premiered at the Sundance Film Festival and also played at the Sydney Film Festival. This film is the feature directorial debut of Australian filmmaker Alethea Jones, and is fun story of four wild moms who decide to get together for a harmless "fun mom dinner." The primary cast features Toni Collette, Katie Aselton, Molly Shannon, and Bridget Everett as the four moms. This also stars Adam Levine, Adam Scott, Paul Rust, Rob Huebel, David Wain, and Paul Rudd. There are quite a few of these "wild women" movies this year, between another Bad Moms, Rough Night, and Girls Trip. Not sure if this one looks any better or worse, but I do like the cast here. Have fun. Four moms, whose only common ground is their kids' preschool class, decide to get together for a harmless "fun mom dinner." The night begins as a disaster, but the combination of alcohol, karaoke, and a cute bartender, leads to an unforgettable night where these seemingly different women realize they have more in common than motherhood and men. 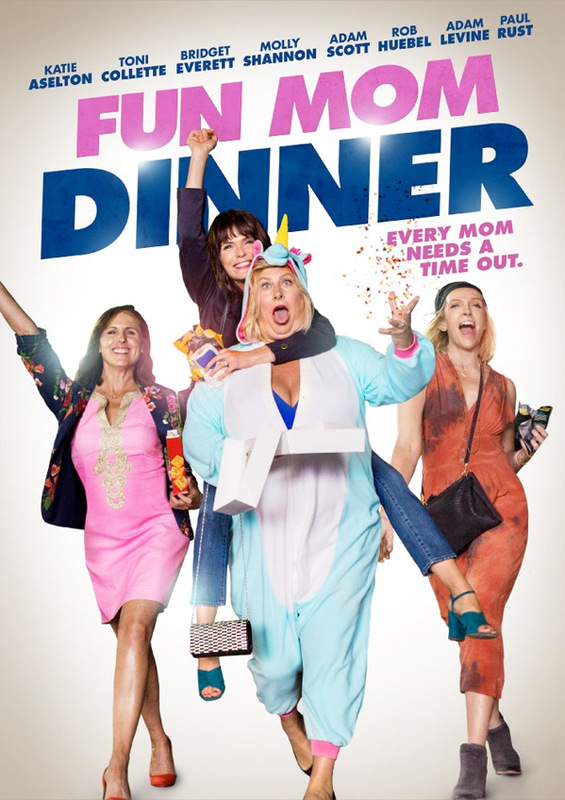 Fun Mom Dinner is directed by Australian writer/filmmaker Alethea Jones, making her feature directorial debut after a number of short films and work on "Gortimer Gibbon's Life on Normal Street" previously. The screenplay is written by Julie Rudd. This first premiered at the Sundance Film Festival and Sydney Film Festival earlier this year. Momentum Pictures will release Fun Mom Dinner in select theaters + on VOD starting August 4th later this summer. Looking forward to this?